Does your summer include a lot of weddings? Several years ago it seemed like I had multiple weddings to attend each summer, but now it's trickled to about one per year. Since the last one I went to was during the winter, my closet was under-prepared for the recent summer wedding on my calendar. Naturally, when I was shopping for wedding-guest apparel, I started with the shoes. Makes total sense, right? Target, who is having quite a shoe moment right now, had a 40% off shoe sale, and these bright orangey-red beauties I've had my eye on went straight into my cart (along with these fake Birks because I couldn't help myself). 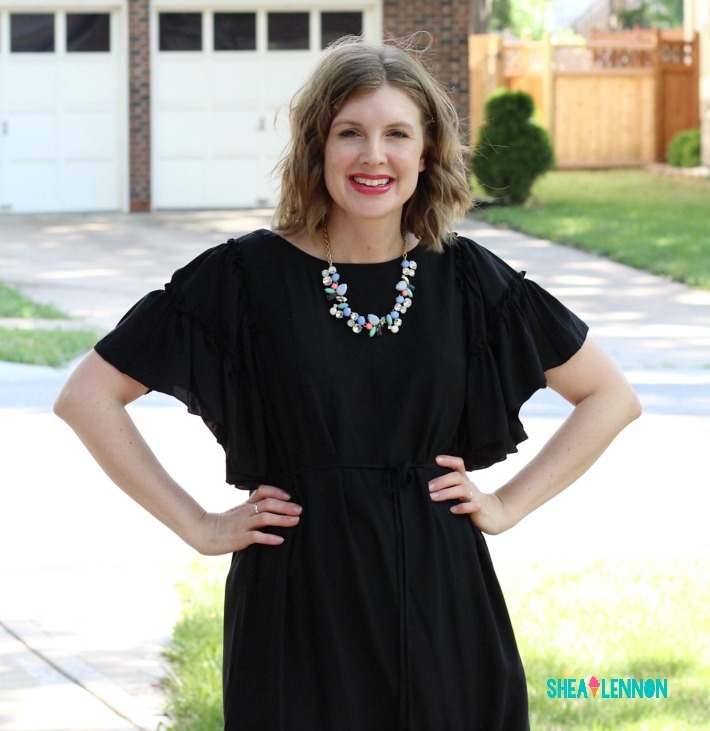 I wanted a neutral dress so the shoes would stand out, so I found this little black dress (also on sale!) at Loft. I love the pretty sleeves, and I know I'll get a lot of wear out of it beyond the wedding. I added a colorful necklace, bright lips, and my signature earrings (which I forgot to put on for pictures, but luckily remembered before heading out the door). I felt dressy enough, but also quite comfortable, which is essential for me at a wedding. Some people go for the love. Others go for the free food and booze (not going to lie, I like that part too). For me though, I am 100% there for the dancing. And these shoes are dance-floor READY let me tell you. In fewer years than I'd like to think, I will for sure be that middle-aged lady who is out there shaking her booty and being snickered at by "the young folks." I do not care. My days of going to clubs are long gone, but give me a wedding and a dance floor and I will party like my college-self, and love every minute of it. 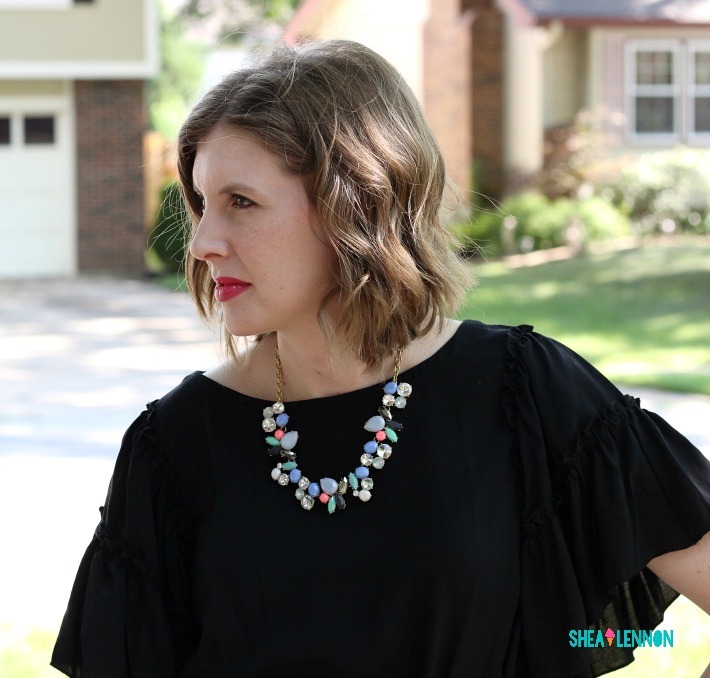 Linking with Pumps and Pushups, On the Daily Style, and Thursday Fashion Files.